Derek Pony, who has made some cute stuff in the past, has taken it to a new level with this 3D animated version of TrashasaurusRex’s comic “Surprise”! I think we can all guess what the surprise is from the thumbnail, but it’s still adorable. Go get some WildeHopps goodness! 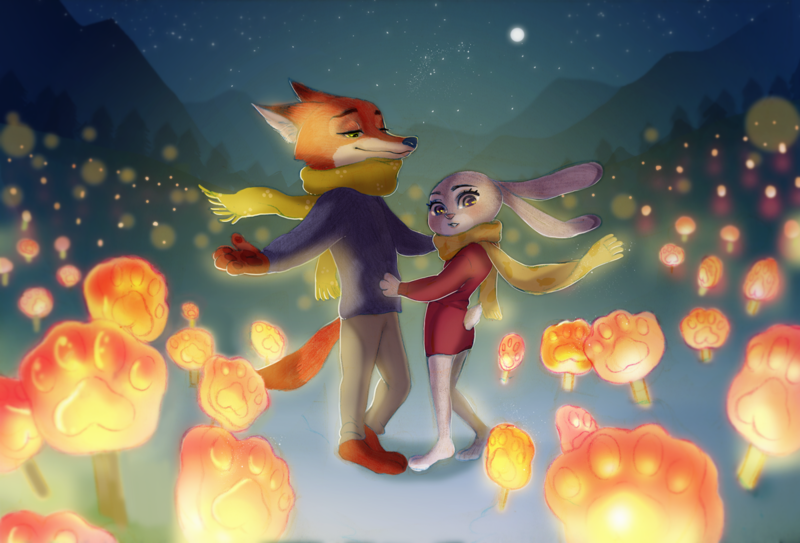 Judy and Nick are so cute together in this video (and just plain everywhere else on this website, DeviantArt, and the Zootopia subreddit), that they could have otherwise made for a potential modern day answer to Mickey and Minnie Mouse, much like with Tangled, Frozen, and Moana being modern day answers to Snow White & the Seven Dwarves, Cinderella, and Sleeping Beauty.